DESCRIPTION Situated on a 30 foot lot + with a lovely west facing backyard, this home has many fabulous features + is in mint condition. 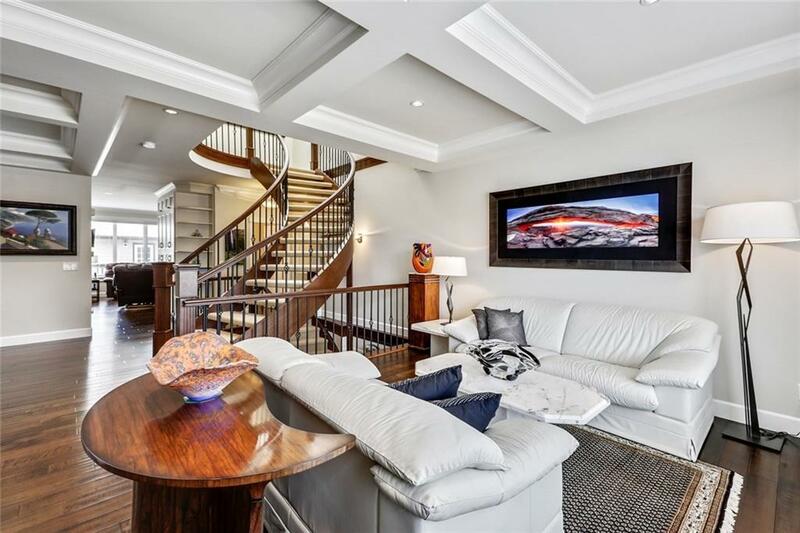 The layout is fantastic with a stunning open riser circular staircase which extends to all 3 levels + is a significant feature. There is over 3000 sq. ft. of luxury living space with very spacious principal rooms. The living +dining rooms are ideal for entertaining. The kitchen is a chef’s galley kitchen with loads of storage + granite counter tops, island, stainless steel appliances including an oversized fridge/freezer + microwave that were recently replaced + gas cooktop with suspended stainless steel hood fan. Adjacent to the kitchen is a large family room with gas fireplace + built in bookshelves overlooking the sunny west backyard with its expansive low profile deck +double detached garage. Upstairs are 3 ample sized bedrooms + laundry room.